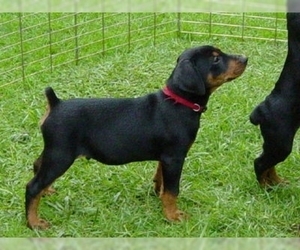 Overview: The German Pinscher is well balanced, smooth coated, medium size with elegant and flowing outlines but strong and well muscled. 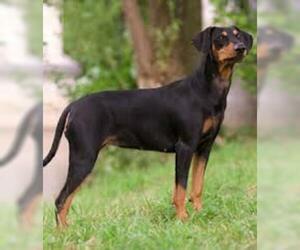 Coat: A German Pinscher coat is short and dense. 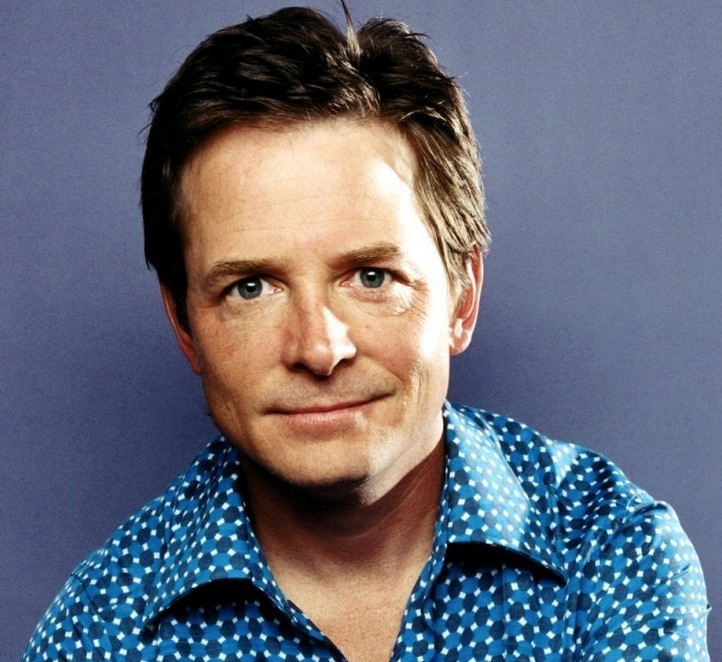 Smoothly fitting. 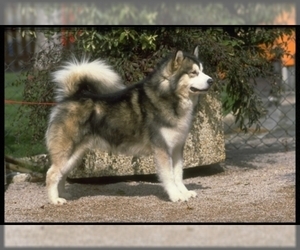 Glossy, without bald spots. 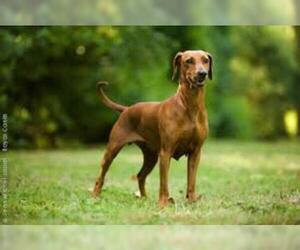 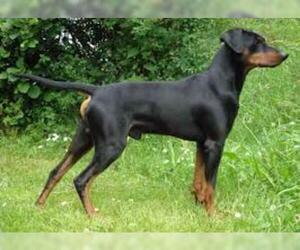 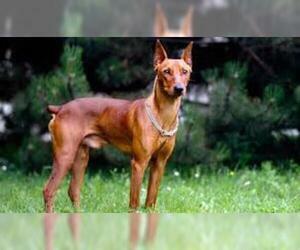 Character: The German pinscher is a lively and smart dog. 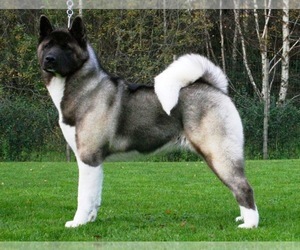 He is very playful and fearless but can be headstrong. 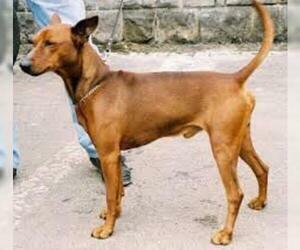 He tends not to bark as much as other pinscher but will bark when strangers approach. 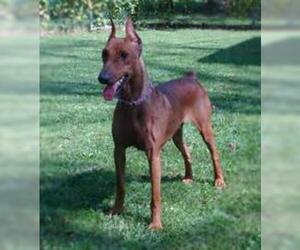 Temperament: The German Pinscher is alert, good-natured, playful, high-spirited, loyal, watchful, fearless, self possessed. 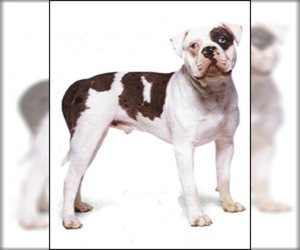 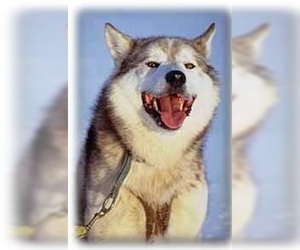 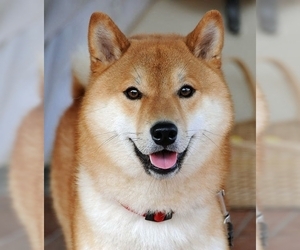 Health Issue: Generally a healthy breed with no major concerns.